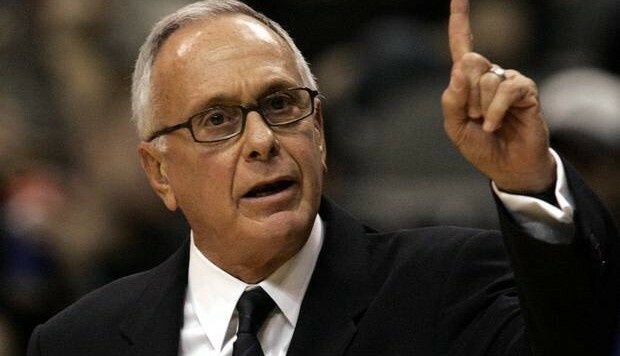 Larry Brown has had some troubles with the NCAA before, most notably leaving Kansas under sanctions in the late 80s, and his latest punishment is a suspension for 10 percent of SMU’s games in the coming season. ESPN’s Jeff Goodman reports that the NCAA also banned SMU from the 2016 postseason and a loss of nine scholarships over the next three seasons. Given some of Brown’s history, as well as the history of the SMU football program (unfair as that might be), one probably could have seen this coming. SMU got a controversial commitment from Emmanuel Mudiay despite a lot of talk that he wouldn’t be eligible, and also got a commitment from a former McDonalds All-American in Keith Frazier. Obviously the Larry Brown name still has cache, but multiple high profile commitments probably raised some eyebrows. Frazier was ruled ineligible last year due to academic issues, and a former SMU assistant was fired for reportedly helping Frazier with his school work. This is tough timing for the Mustangs, who feature AAC player of the year candidate Nic Moore, who won a gold medal in the World University Games, in the backcourt. SMU looks like a potential top 25 team so the school will likely appeal the ban in an effort to play in the 2016 postseason. One almost feels like the NCAA would have to acquiesce to that given the timing of the ban: this leaves Mustang players no time to explore other options. Brown was hit with the famed lack of control charge and will also have to attend a rules seminar for the next two years. Whether he will be SMU’s coach long enough to need to do that remains to be seen.